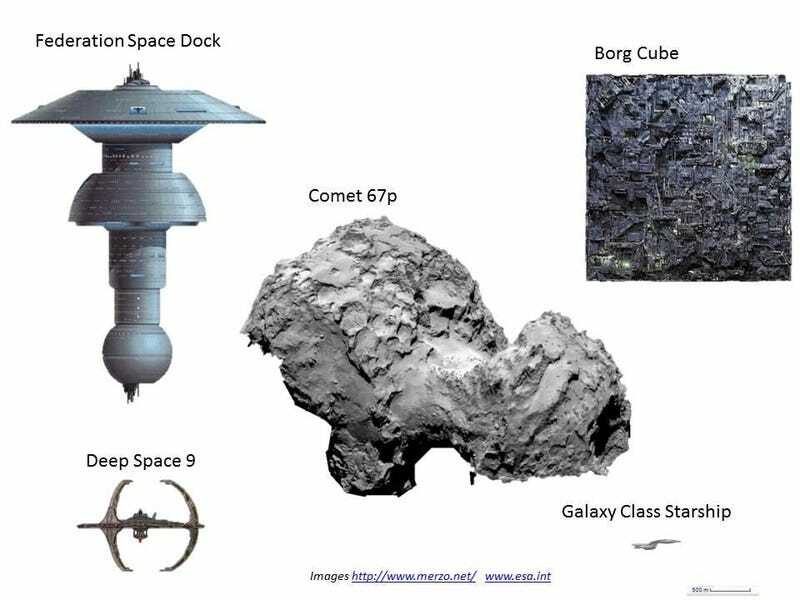 In honor of orbit insertion of the Rosetta Spacecraft, I am pleased to share this rather awesome to-scale size comparison of the 67P/Churyumov-Gerasimenko comet she will be orbiting. To give you an idea of how big the Galaxy Class Starships are, here is a cool graphic comparison to several spacecraft as well as 2 real world military vessels. This came up in my news feed on Facebook. I know that there are at least a few people on here that know that I am a huge science and space geek and these comparisons I always find cool.